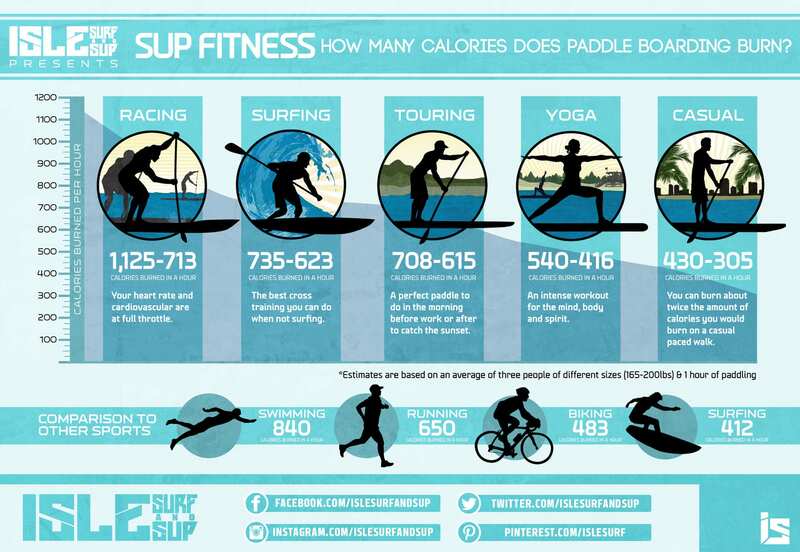 SUP Fitness – How many calories does paddle boarding burn? People of all shapes, sizes and ages have begun to engage in paddle boarding as a fun, full-body workout. 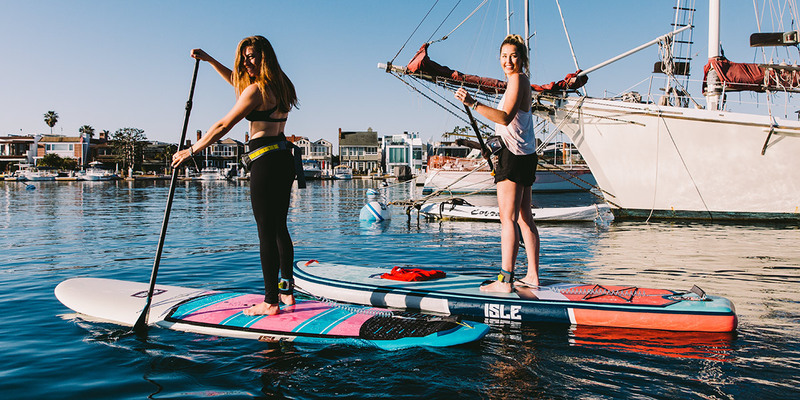 If you’re tired of your typical total-body workout routines at your crowded gym, stand up paddle boarding (SUP) could be your new life-changing fitness escape. Imagine exercising on the ocean (or lake or river!) while breathing in the fresh salty air, soaking up the warm sun and enjoying the 360-degree panoramic views of mother nature. 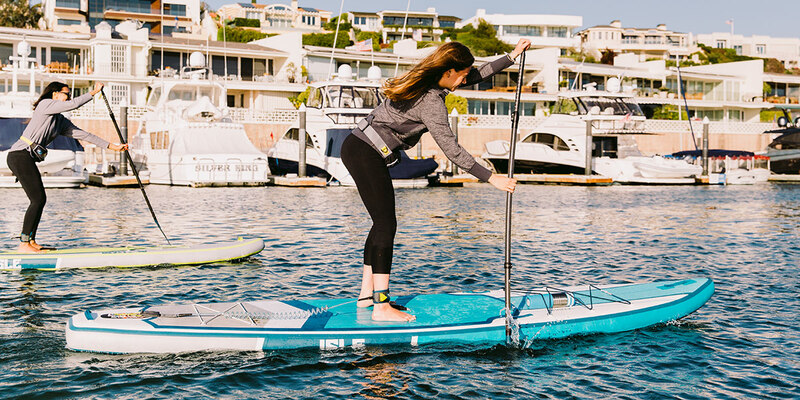 Now that sounds like a paddle board workout routine we could get used to! Below you’ll find the four most common types of paddle board exercises, plus the respective calorie burn estimates for one hour of paddling. 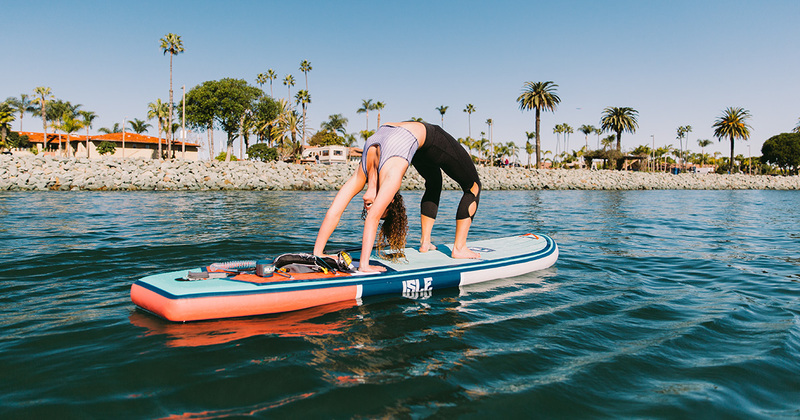 With so many different types of paddle board workouts – from surfing and racing to touring, yoga and recreational paddling – we wanted to show you how many calories are burned during each type of SUP exercise. After reading this, you might decide it’s time to cancel your expensive gym membership and hop on a SUP. 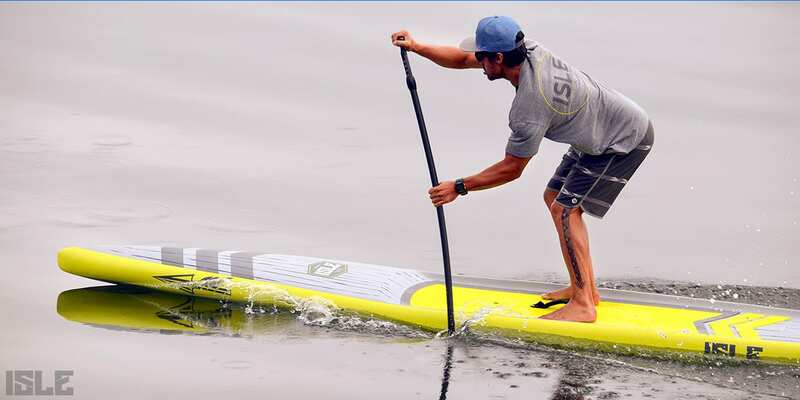 One type of paddle boarding exercise is SUP surfing. Surfers call it some of the best cross training you can do to improve your surfing. We measured the average number of calories burned during a surf session at Coronado Shores on a typical chest to head high day with light winds. Racing might be the highest intensity exercise of standup paddle boarding. There is no slowing down and your heart rate and cardiovascular are at full throttle. To measure the average number of calories burned, we raced the Dana Ocean Challenge – a popular five-mile SUP race in Dana Point, CA. SUP Touring entails paddling for long distances at a moderate pace without stopping in between. To measure the average number of calories burned, we did one hour of touring in Glorietta Bay with an average speed of 3 mph. SUP Yoga can be calming and meditative, but also exhilarating and an intense workout for the mind, body and spirit. Our friend Helen at San Diego Paddle Yoga practiced a vinyasa power SUP Yoga exercise sequence which lasted about an hour. 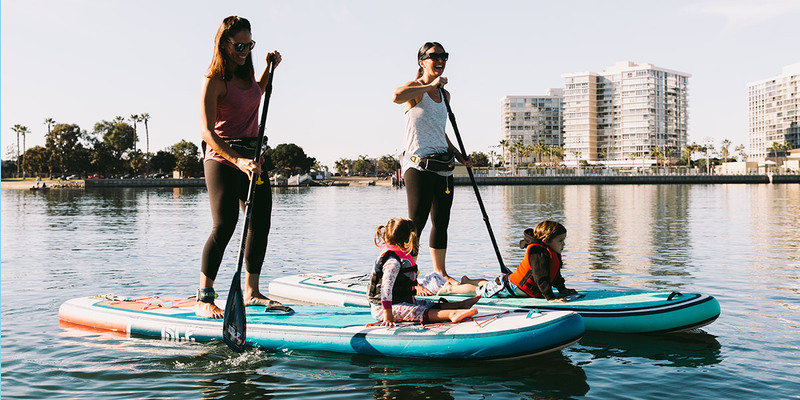 The most common type of standup paddle boarding is recreational use, which is an easy paddle with calm water, light winds at a slow walking type pace. At a typical casual pace, you’ll burn about twice the calories you’d burn on a moderate paced walk (2.5 mph). You can burn 305 to 430 calories leisurely paddling in an hour. Sounds way more fun than an hour of monotonously swooping around on an elliptical machine. The number of calories you burn from stand up paddle boarding all depends on how hard you want to push yourself. Take a mellow, low impact session some days, and other days, put your game face on and go for that high impact beast sesh. No matter what intensity level you decide to go, SUPing will help improve your balance, upper body strength, core and endurance. Trust us – you will be looking mighty fine in no time (and super bronzed up! ).